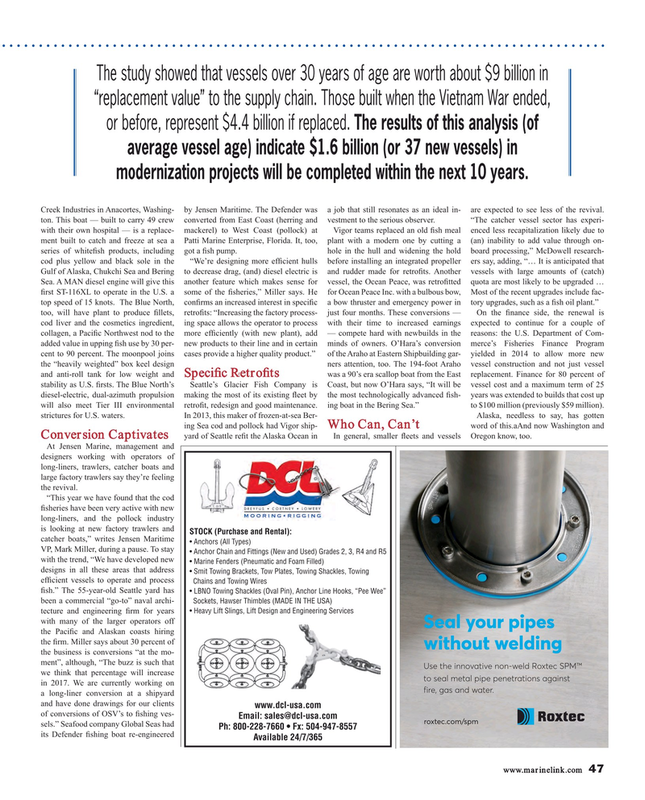 The study showed that vessels over 30 years of age are worth about $9 billion in “replacement value” to the supply chain. Those built when the Vietnam War ended, or before, represent $4.4 billion if replaced. The results of this analysis (of average vessel age) indicate $1.6 billion (or 37 new vessels) in modernization projects will be completed within the next 10 years. Conversion Captivates yard of Seattle re? t the Alaska Ocean in In general, smaller ? eets and vessels Oregon know, too.